At our Sterling dental practice, Dr. Tadros and our team provide comprehensive dental care that enhances not only your health but the aesthetics of your smile. Lake Center Family and Cosmetic Dentistry understands the importance of a bright, white smile and provides cosmetic dental procedures that assist in creating beautiful, healthy smiles. Whether you have intrinsic staining or chipped teeth, we provide aesthetic treatments that provide the improvements you desire for your smile. We understand that each patient has their own idea of what makes a smile beautiful, which is why Dr. Tadros is committed to understanding your oral health needs to meet expectations for what you’d like to change about your smile. Our goal is to provide smile reconstructions through comprehensive treatments that don’t compromise the health or function of your smile. At Lake Center Family and Cosmetic Dentistry, we provide an array of cosmetic dental treatments. Teeth Whitening: From staining due to smoking or drinking too much coffee, we provide teeth whitening treatments through Opalescence® take-home trays to help lighten teeth. 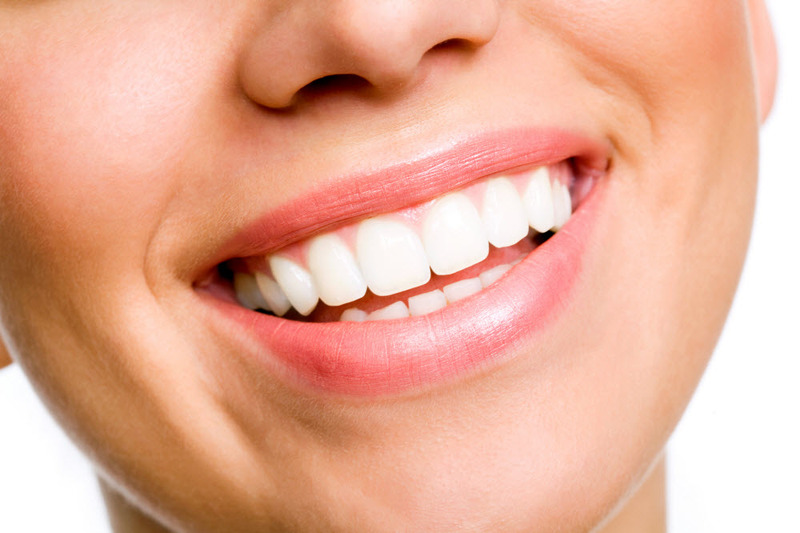 This dentist-supervised teeth whitening treatment leads to stunning results and whiter smiles. Porcelain Crowns and Bridges: As fixed prosthetics, crowns and bridges are cemented onto teeth and can enhance the strength and appearance of your smile. Crowns and bridges are used for a variety of measures, like to cap a tooth after root canal treatment or in conjunction with dental implants to replace missing teeth. The aesthetically appealing alternative is the use of porcelain tooth-like material to create these restorations. Porcelain Veneers: These thin wafers of porcelain are bonded to teeth, effectively masking deep, intrinsic stains or chipped, misshapen teeth. Veneers are custom made; the porcelain material mimics the same feel and sheen of natural teeth. Dr. Tadros works with you to match the veneer to the shade of your natural teeth so that it is a seamless installment. We recommend that patient whiten their smiles prior to the procedure in order to gain the best results. Dental Implants: At our Sterling dental practice, we provide implant dentistry for patients who are missing one tooth or a full arch of teeth. The implant posts are integrated into the jaw bone and prevent facial collapse. Replacing the tooth root and the crown itself, patients enjoy rejuvenated function and a new smile. Our cosmetic dentist pairs dental implants with porcelain restorations, such as crowns, bridges, and dentures for diverse teeth replacement. We offer an array of specials, as well as our Lake Center Family Plan so that all of our patients can receive the care that they deserve at an affordable price. For more information about our cosmetic dental services, contact Lake Center Family and Cosmetic Dentistry today!